Ridge Riders is a competitive equestrian team for youths in grades 6-12, under charter of the Interscholastic Equestrian Association. The mission of the team is to promote the appreciation of the equestrian sport and safe riding, to support and develop local amateur athletes for the equestrian sport by conducting and participating in equestrian competitions, and to further provide youths with equine educational opportunities beyond competitions. The Ridge Riders IEA Team was established in 2009 and is comprised of a competitive high school team and a middle school team. Both equestrian teams are under the leadership and direction of Coach Michele Koury and are hosted at Valley Ridge Farm, Inc. The Ridge Riders High School Team currently includes, but is not limited to, members from Morgantown High School, Fairmont High School and Bridgeport High School. The Middle School Team includes members from Cheat Lake Middle School, St. Francis School, Trinity Christian School, West Preston Middle School, Bridgeport Middle School, and South Middle School. 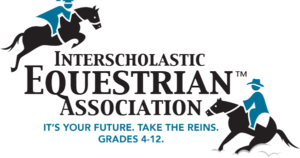 Interscholastic Equestrian Association membership is extended to youth in public and private schools, as well as barn teams. You do not need to own your own horse to participate. Participants at Valley Ridge Farm can expect to obtain an extensive range of horsemanship skills and knowledge under the tutelage of award-winning Coach and mentor, Michele Koury and Assistant Coach, Liz Vidulich. Ridge Riders is a member of the IEA (Interscholastic Equestrian Association), and a 501.c3 national non-profit organization for youth.